One of the greatest works of philosophy and political theory ever produced, Plato's The Republic has shaped western thought for thousands of years, remaining as relevant today as when it was first written in the Ancient Greece. This Penguin Classics edition is translated by Desmond lee with a new introduction by Melissa Lane. Plato's Republic is widely acknowledged as the cornerstone of Western philosophy. Presented in the form of a dialogue between Socrates and three different interlocutors, it is an enquiry into the notion of a perfect community and the ideal individual within it. During the conversation other questions are raised: what is goodness; what is reality; what is knowledge? The Republic also addresses the purpose of education and the role of both women and men as 'guardians' of the people. With remarkable lucidity and deft use of allegory, Plato arrives at a depiction of a state bound by harmony and ruled by 'philosopher kings'. 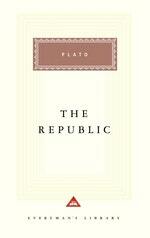 Desmond Lee's translation of The Republic has come to be regarded as a classic in its own right. 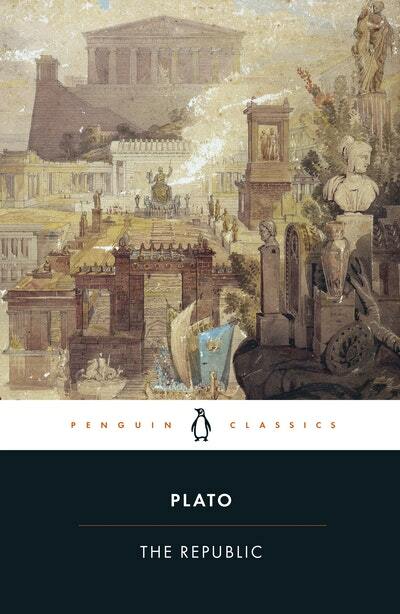 His introduction discusses contextual themes such as Plato's disillusionment with Athenian politics and the trial of Socrates. The new introduction by Melissa Lane discusses Plato's aims in writing The Republic, its major arguments and its perspective on politics in ancient Greece, and its significance through the ages and today. Plato (c.427-347 BC) stands with Socrates and Aristotle as one of the shapers of the whole intellectual tradition of the West. He founded in Athens the Academy, the first permanent institution devoted to philosophical research and teaching, and the prototype of all Western universities. If you enjoyed The Republic, you might like Machiavelli's The Prince, also available in Penguin Classics. Love The Republic? Subscribe to Read More to find out about similar books.